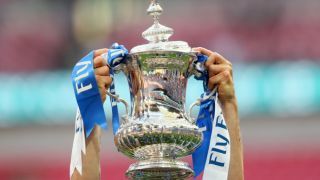 Forget MLS and the Premier League...soccer has gone home to Wembley Stadium this weekend for the FA Cup semi-finals and watching the games live in the US has never been easier thanks to ESPN+. We'll tell you all about how to live stream Watford vs Wolves today. Watford vs Wolves - when and where? Watford and Wolverhampton Wanderers are doing battle today (Sunday, April 7) at 11am ET / 8am PT. Being an FA Cup semi-final, the action will take place from the home of football - Wembley Stadium. It's a huge structure in West London, UK with a capacity of 90,000. Sunday's match - Watford vs Wolverhampton Wanderers - is looking very difficult to call. Both have performed beyond expectations in the 2018/19 season and will be desperate to make an unexpected FA Cup Final. Watford got the win earlier in the season 2-0 and will hope to replicate that here if captain and club legend Troy Deeney has anything to do with it. But Nuno Espirito Santo's Wolverhampton Wanderers have spent a lot of money and the reward of a Cup Final feels like a fitting way to conclude an astonishing break-out season. Saturday's game was Brighton vs Man City, which was really the formality we had suspected. Manchester City continue their pursuit of a historic quadruple (league title, FA Cup, Champions League and the already-won League Cup), with a 1-0 win at Wembley. Keep reading to see the best ways to get an FA Cup live stream between Watford vs Wolves. As you'll see, it's available via the ESPN+ subscription service (which comes with a 7-day free trial if you haven't tried it before). And we'll also tell you how to catch it even if you're not in the US this weekend. Subscription service ESPN+ has snagged the coverage of the FA Cup clash between Wolves vs Watford. The broadcasting giant's online subscription platform only launched in 2018, but has already made waves by hosting big-ticket tennis, MLB baseball, soccer, UFC and boxing events. But the best news is that you can grab a seven-day FREE trial. So if you haven't used ESPN+ before, you can sign up for that and get a taster of its soccer coverage without paying a thing. If you've been looking forward to watching this match-up but now find yourself abroad, you'll find that your coverage will be geo-blocked. Annoying for sure, but not the end of the road.